Offering you a complete choice of products which include interactive white board 42 diagonal, interactive white board 72 diagonal and interactive white board 82 diagonal. 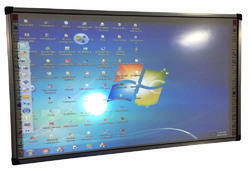 We are offering 42" Diagonal Digital Interactive Smart Board to our clients. Usage/Application Schools,Collages,Educational Institute,Tuition Classes,Couching Classes etc. 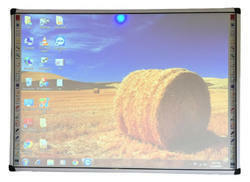 We are offering 72" Diagonal Digital Interactive Smart Board to our clients. 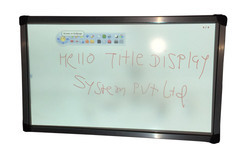 Effective Touch Area 47" x 68"
We are offering 82" Diagonal Digital Interactive Smart Board to our clients. Looking for Digital Interactive Smart Board ?